Asus Philippines officially launched to the media the perfect productivity and home entertainment package, their All-in-One PC with the introduction of the Asus ET2300 model. The At the same event, they also displayed the Asus RT-AC66U Router with iCloud technology. The launch was held at the Cue Modern Barbecue Restaurant located at the Bonifacio High Street Central in Taguig city. Some exceptional features of the ET2300 includes its unique double-hinge design that allows it to be used both as a traditional desktop with an upright display and as a digital canvas that folds flat parallel to the table top, its built-in array speaker and subwoofer, an external subwoofer, and the ASUS SonicMaster technology for the audio. The impressive audio technology enables the ET2300 to deliver incredible acoustic fidelity unheard from other PCs. SonicMaster technology further refines sound quality for a wide frequency range that reproduces every acoustic detail. In addition, the external subwoofer extends bass response by a full octave. It also has the Intel Thunderbolt data transfer technology, the Intel Wireless Display (WiDi) capability, and comes with USB 3.0 already to provide flexible and future-proof connectivity. The Asus ET2300 is powered by the 3rd generation Intel Core i5 3300 desktop processor with Intel HD 2500 built-in graphics for impressive performance. It also has WiDi to make it easy to enjoy audio, video and photos with family and friends through seamless wireless streaming to WiDi-enabled HDTVs, while HDMI input turns the ET2300 into an HD display for game consoles and Blu-ray players. Its innovative double-hinge design that allows it to fold flat parallel to the table top for easy and intuitive use of Windows 8 apps on its 10-point multi-touch 23” display. A 178° wide-view angle IPS display ensures clear and vibrant images, making the ET2300 an ideal shared entertainment platform for all family members. The ASUS ET2300 All-in-One desktop PC will be made available with an SRP of PhP59,995 with an Intel Core i5-3330 (6M Cache, 3.0 GHz, Turbo Boost up to 3.2GHz) and Microsoft Windows 8 OS pre-installed. This comes with a 3-year warranty with on-site service. 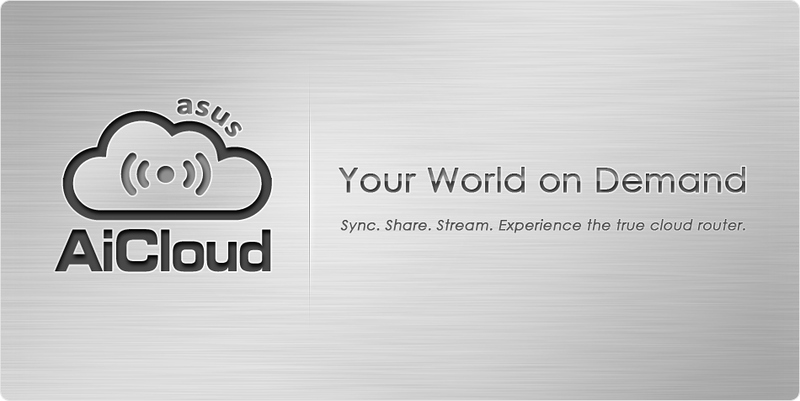 ASUS AiCloud brings the convenience of cloud-based storage to everyone with a combination of easy to use technology and services, as well as indefinite storage and increased privacy. Smart Access lets users keep all their data on their home network or online storage facility easily accessible from anything from a smartphone to a PC, as long as they have an internet connection. 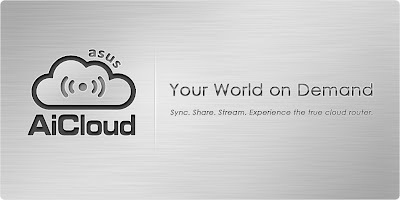 It allows any networked computer to be incorporated into a private personal cloud for selective file sharing over the internet, using any compatible Windows, Mac and Linux device. Files can be easily shared through a simple web link. The RT-AC66U is the latest addition to the ASUS router line-up and is currently the most high-end model in the market. It is already available in stores with an SRP of PhP 11,990. AiCloud will be made available on router models RT-AC66U, RT-N66U, and RT-N16 after updating to the latest router firmware which can be done through the router’s user-friendly interface in as little as three mouse clicks. The Asus Marketing and Technical team were there at the launch to present to us the new PC series which also comes in different screen sizes, and to answer our queries after finishing a hearty lunch. We are now in the process of requesting product review schedules with them so we could really give you a more etailed hands-on review of their latest offerings.